Yesterday Digg was sold to Betaworks for a mere $500,000. 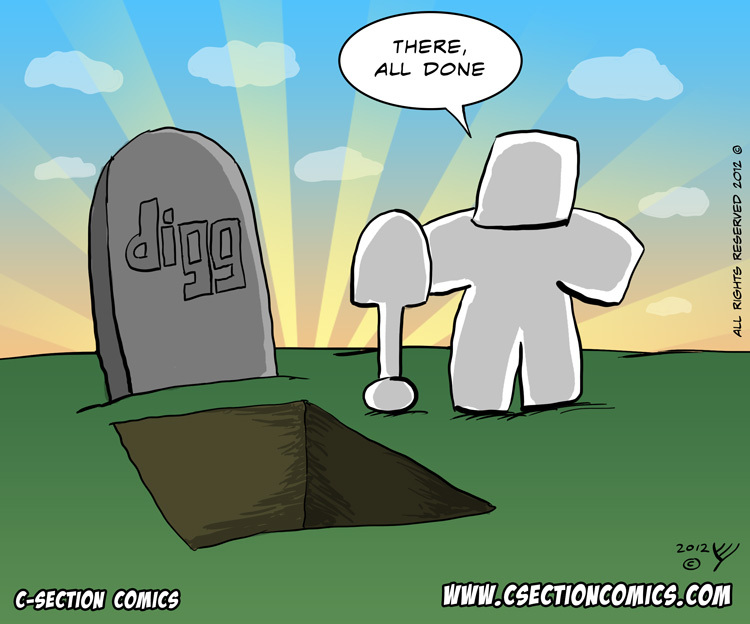 In 2008, Digg turned off an acquisition offer by Google of 200 million dollars. The only thing funnier/sadder (depends on your point of view) than the actual story, are the titles that technology blogs are using when covering the story. What about you? Do you still Digg? And if so, what do you think of the move? I used to use digg, but became discouraged and euphemistically referred to it as RIGGed. Many times you would be first to post a link to a certain topical article about whatever politics/technology dujour, only to have your submission buried, yet 2 days later, the same article was a top posting by one of Roses cronies. So after a while of that, you stop submitting,..you only subscribe to the rss feeds, and only stop by once in a blue moon. Oh, and the constant lame retorts of “your mom” to an articulate and well researched comment, became tiresome as well.